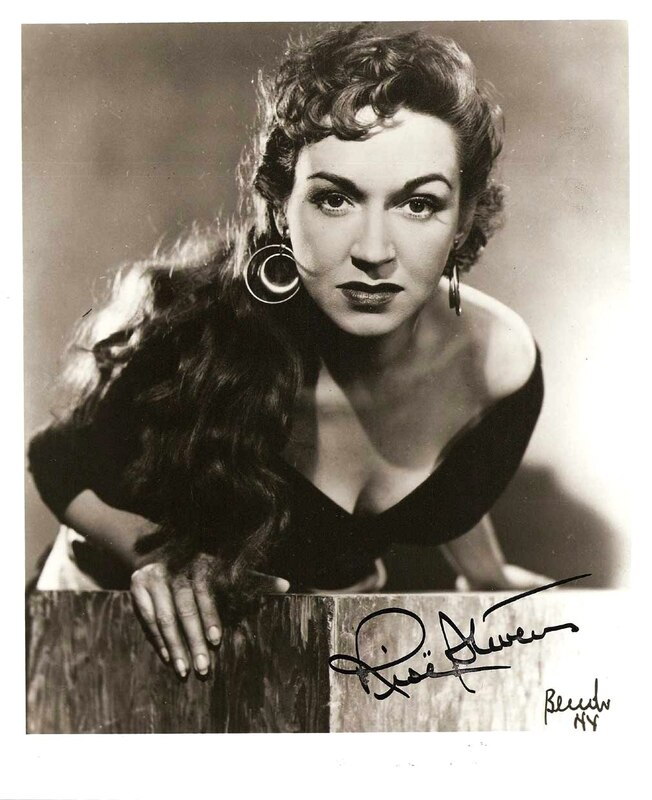 Internationally renowned mezzo-soprano, turned Hollywood actress, Risë Stevens - who had a 23-year career with the Metropolitan Opera - died on Wednesday at her home in Manhattan ... less than 3 months before her 100th birthday. On the Met’s roster from 1938 to 1961, Ms. Stevens was a superstar in an era when operatic superstardom was conferred mostly on sopranos and tenors. While at the Met, she performed everything from Fricka in Die Walküre and Octavian in Der Rosenkavalier to Cherubino in La Nozze di Figaro and the title role in Mignon. And then, there was Carmen ... for which she is probably best known. Over her 23 years and 351 performances at the Met, she performed with singers who shared her legendary status: Kirsten Flagstad, Lauritz Melchior, Lotte Lehmann, Bidú Sayao, Ezio Pinza, Patrice Munsel, Zinka Milanov, Richard Tucker, Leonard Warren, Eleanor Steber, Kurt Baum, Christa Ludwig, Leonie Rysanek, Walter Berry, Roberta Peters, Lucine Amara, Ramon Vinay and Rosalind Elias. On the operatic stage, Stevens was known for her expansive repertory, her honed acting skills, her precise musicianship and, of course, her voice. Some called it "velvety" - while others called it "smooth and warm", "rich" and "luscious". Her voice was her prized possession and she treated it as such. In fact, in 1945, Lloyd’s of London insured her voice for $1 million. Though she occasionally sang Wagnerian roles early in her career, she soon abandoned them in favor of the less heavy, though no less rich, parts to which her voice was ideally suited. 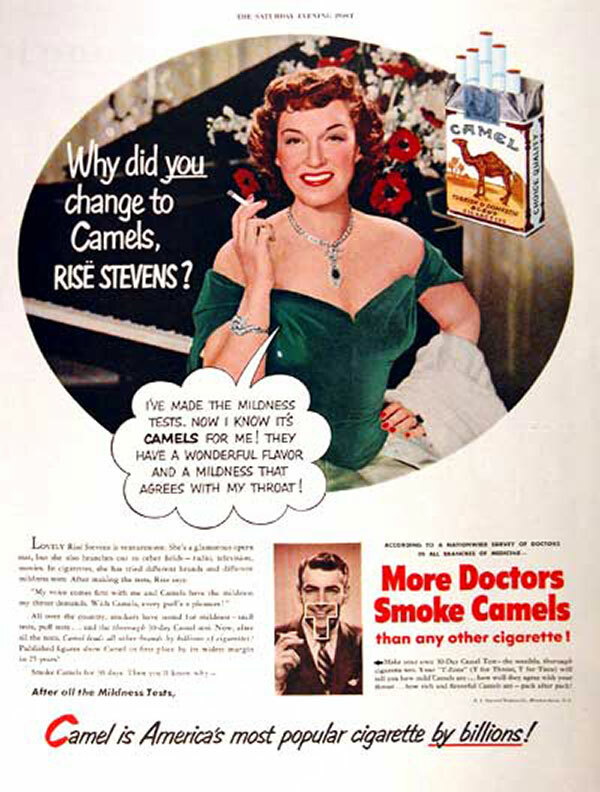 Known to the public not only through her operatic superstar status, but also through her appearances on radio, television, in print and on the big screen, Stevens never let her fame overcome her. She was always the original down-to-earth, Bronx-born diva. After retiring from the stage, Ms. Stevens had a prominent second career as an arts administrator. In 1964 she was named, with Michael Manuel, a general manager of the new Metropolitan Opera National Company - which was the Met's touring ensemble. Unfortunately, the company folded in 1967 due to lack of funding. Stevens was later the executive director of the Metropolitan Opera National Council Regional Auditions. In 1975, Ms. Stevens assumed the presidency of the Mannes College of Music - which is a small conservatory that is now part of the New School here in Manhattan. She helped the college overcome a substantial budget deficit and was the chief advocate for recruited world-renowned musicians onto the school's faculty. One such musician was pianist Vladimir Horowitz. In 1978, Stevens resigned citing differences with some of the school's board members. Among Risë Stevens' awards are an honorary doctorate from Mannes in 1980. In 1990, she was an honoree of the Kennedy Center in Washington DC. In 2011, Stevens received Lifetime Honors from the the National Endowment for the Arts Opera Honors... to see the Risë Stevens Tribute from the National Endowment for the Arts National Opera Honors, I highly encourage you to click here. Risë Stevens is survived by her son, Nicolas Surovy.